This isn’t your ordinary hand towel. 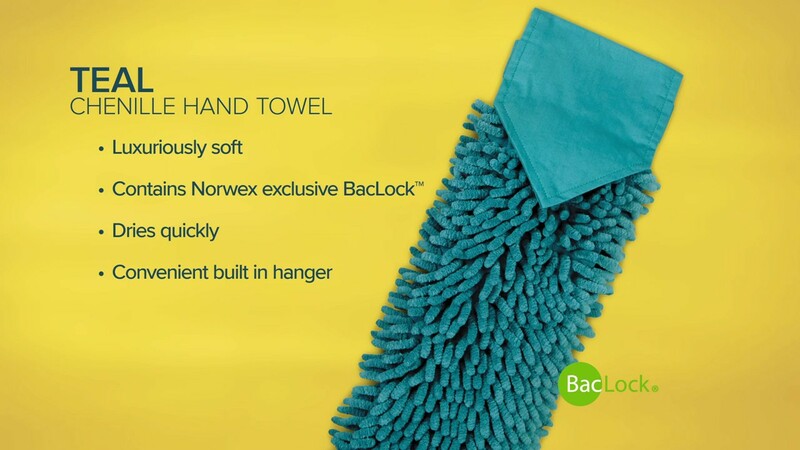 The luxuriously soft, yet powerful Chenille Hand Towel is perfect for drying your hands and keeping germs and bacteria away, using our exclusive BacLock®* technology. This plush hand towel gently dries your skin and comes with a convenient hanger to attach to a towel bar or keep in countless other locations around your home, anytime or anywhere there may be wet, messy hands! The BacLock® antibacterial agent in the towel works to self-purify and inhibit odors from bacteria, mold and mildew growth within 24 hours, so that it is ready to use again.